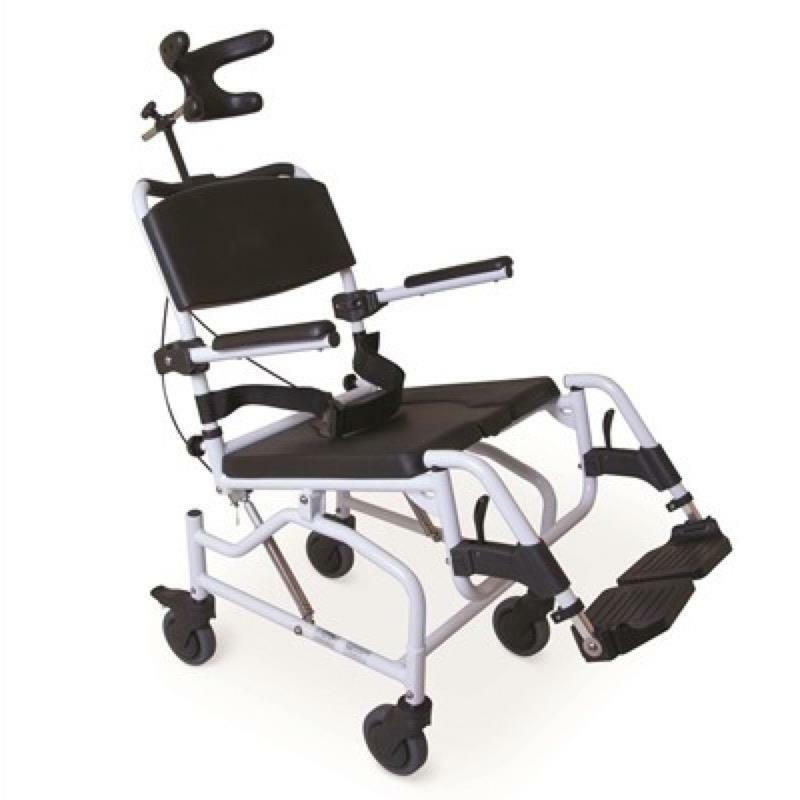 The Cefndy Tilt-in-Space Shower Chair is suitable for users with more complex support requirements. It can be reclined up to 30 degrees and features a fully adjustable neck support and fold up arms. Manufactured in the UK using lightweight powder coated aluminium. The Cefndy Tilt-in-Space Shower/Toileting Chair can be reclined up to 30 degrees and is suitable for those users with more complex support requirements. It also provides easy access for washing and toileting and features a neck support that is fully adjustable and canbe positioned at any angle for maximum patient comfort. Both arms fold up to allow lateral transfers and the foot plates are fully adjustable. Also features 2 braked castors and a soft polyurethane seat and back that offers added comfort. Manufactured from lightweight powder coated aluminium. Can be reclined up to 30 degrees. Provides comfort, safety and easy access for washing & toileting. Neck support is fully adjustable and can be positioned at any angle for maximum patient comfort. Fully adjustable foot plates to suit patient requirements. Manufactured from lightweight powder coated aluminium. Soft polyurethane seat and back for comfort, warmth and durability. Both arms fold up to allow lateral transfers.